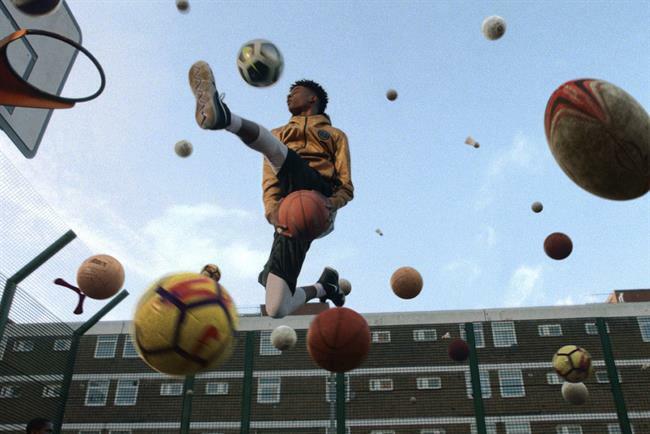 Wieden & Kennedy's "Nothing beats a Londoner" campaign for Nike has won the Grand Prix at Cannes Lions for the inaugural Social & Influencer category. The campaign, which has also won two gold and two silver Lions in the category this evening, celebrates sporting competition in London and features cameos from star athletes such as Olympic legend Mo Farah and England captain Harry Kane. The campaign, which was also worked on by WPP media agency Mindshare, has also won two gold and two silver Lions in the category this evening. Shot on the streets of the capital, the work is soundtracked by Skepta’s Shutdown and created by Paddy Treacy and Mark Shanley at W&K London. The campaign went viral on social media from the first day it was launched, thanks to the likes of London mayor Sadiq Khan sharing it as well as a primetime TV campaign. However, Nike pulled the ad from YouTube within days amid a legal challenge to use of the LDNR branding associated with the campaign. It is the fourth Grand Prix to be awarded to a UK entry so far at this year’s Cannes Lions festival, following wins this week for Abbott Mead Vickers in Design and McCann London in Creative eCommerce. MediaCom and Bartle Bogle Hegarty have jointly won the Grand Prix in Media Lions tonight. Adam & Eve/DDB was the only other UK agency to win a gold Lion in Social & Influencer; the Omnicom shop bagged a gold and silver for "Fifa 18: more than a game". The Fifa campaign, which was centred on the creation of a new football skill move – El Tornado – featured a film that went viral on social media as fans tried to emulate the move. Meanwhile, Droga5 New York was the best performing US agency in the category, after picking up three gold Lions for its "Dundee: the son of a legend returns home" campaign for Tourism Australia. VML Kansas City and TBWA Media Arts Lab Los Angeles also picked up a gold a piece for Wendy’s and Apple campaigns respectively.